Seco, ten miles northeast of downtown Los Angeles, is famous for its colorful history and unmatched combination of culture, academics, sports, architecture and style. Few cities command as much international acclaim as Pasadena with the Rose Bowl Parade watched by 350 million people around the world, Rose Bowl stadium where college football championships are decided, California Institute of Technology (Caltech) known world-wide for its extensive research and instruction in science, engineering and technology, and The Jet Propulsion Lab, NASA’s center for robotic space exploration, the home of the Mars Exploration rovers. The city abounds in theaters, museums, numerous National Historic sites and a year-round offering of civic and community events. The original inhabitants of the area were the Native Americans of the Hahamogna tribe, part of the Tongva Nation which lived in the Los Angeles Basin for thousands of years. Pasadena and its nearest neighbors, Altadena and South Pasadena, were part of the original Mexican land grant named Rancho del Rincon de San Pascual. The last Mexican owner was Manual Garfias who sold sections of the property to the first Anglo settlers to come into the area Benjamin Eaton, Dr. S. Griffin and Benjamin Wilson known as Don Benito to the local Indians. of land between the Arroyo Seco and Fair Oaks Avenue was incorporated as the Indiana Colony. The name "pa-sa-de-na" from the Chippewa language meaning "of the valley" was adopted and in 1888 the area became the second incorporated municipality in Los Angeles County. Today Pasadena is often called "The Crown of the Valley" or the "Crown City". Wealthy travelers from across the country and the world were attracted to the region by the mild climate transforming Pasadena into a popular winter resort. Several majestic hotels were established to accommodate visitors and several are still in use today. The Raymond (1886) and the Maryland Hotel (early 1900s) succumbed to fire and demolition but the Hotel Green (1887) on Raymond at Green Street, the Vista del Arroyo (1920) overlooking the iconic Colorado Street Bridge over Arroyo Seco and the Huntington Hotel, originally the Wentworth (1907), are familiar structures from Pasadena's history. A large number of wealthy tourists built winter homes in Pasadena including so many mansions along Orange Grove Boulevard it became known as “Millionaire’s Row”. Only a few still exist today as reminders of Pasadena’s beginnings as a rich man’s playground. One example is The Wrigley Mansion formerly owned by chewing gum magnate William Wrigley Jr., which was considered “modest” in its time with only 22 rooms totaling 18,500 square feet! The mansion was donated to the Tournament of Roses and is now used as its headquarters. Other notable winter residents were the Cox family of newspaper fame, J. B. Van Nuys, the founder of the City of Van Nuys, the Spalding family of the sporting goods empire, Jared Torrance, founder of the City of Torrence, the Gamble family of Proctor and Gamble, the Adolph Busch family and Henry Huntington, heir to the Southern Pacific Railroad fortune who left his estate in San Marino consisting of a library housing a priceless collection of nine million ancient books, manuscripts and documents plus an irreplaceable collection of 18th and 19th century European art located amid an array of stunning gardens to the people of Pasadena. In the early 1900s Pasadena became the epicenter of the Arts and Crafts movement across the country led by the renowned local architects, Charles and Henry Greene and others. The Craftsman bungalow home was very popular from the late 1890s to the 1920s and many restored examples of this innovative architecture remain in the area today. During Pasadena's Golden Age many cultural, scientific and civic venues were constructed. A 100-inch telescope was installed at the Wilson Observatory on Mt. Wilson in 1917. The Pasadena Community Playhouse was opened in 1917. The Pasadena City Junior College District was created in 1924 known today as Pasadena City College. Grace Nicholson Gallery was completed in 1926 and eventually became the Pacific Asia Museum. 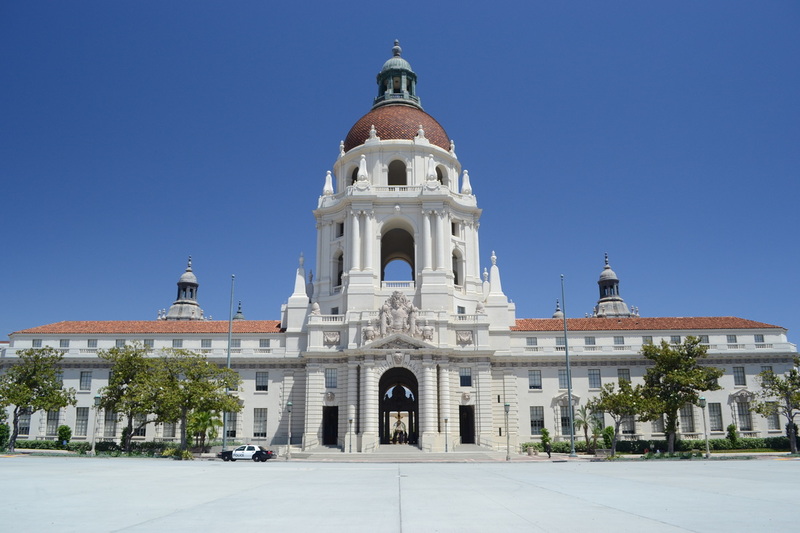 Many municipal facilities were added by the city government including the Rose Bowl stadium and Brookside Park recreation facility, the Central Library and the iconic City Hall in 1927, and the Civic Auditorium in 1932. Old Pasadena, often called Old Town Pasadena or Old Town, was the original commercial center of the city. But when the area became blighted by flop houses, seedy bars and head shops the city began to improve this derelict area and preserve the city’s architectural treasures. Today Old Town is one of the Los Angeles area’s most vibrant shopping destinations. There are more than 120 specialty shops, boutiques and retail stores along with 80 restaurants, sidewalk cafes, coffee houses and theaters in this pedestrian-friendly district bordered by Pasadena Avenue, Arroyo Parkway, Del Mar Boulevard and Walnut Street. Pasadena stands out as the Los Angeles Basin's flagship for history, culture, academics, style and desirability. Its location on the 110, 134 and 210 freeways plus many stops on the Metro Gold Line make it attractive to commuters. Understandably, real estate prices are reflective of the high quality of life found in this "Crown of the Valley".